Technically, it’s still spring. Yet, now that Memorial Day is behind us, the unofficial start to summer is here. The dog days of summer will not be far behind. Summer can be a tough time for a lawn. The best thing you can do is prepare your lawn for the hot summer season ahead. You should start at the root of the situation. This means checking the soil in your yard. Start with a soil test. Soil quality can change through the years. The results of the soil test can help you determine when to fertilized and plant. Fertilizing in the spring can invigorate your lawn with nutrients that were depleted during the cold winter months. It’s not a good idea to fertilize during the hot summer months. Fertilizer can harm the growing process during times of intense heat. It’s also important to know how to water. A lawn sprinkler system with a timer can help take the guess work out of knowing what time to water the lawn. Watering early in the morning is very important during the summer months. Hot air and a pounding sun can cause water to evaporate too quickly, before it has a chance to be absorbed into the soil. A lawn irrigation system timer should be set to different times depending on the season. Speaking of soil, the type of soil can also determine the amount of water the lawn receives. A loose, sandy soil will need more water than a soil with more clay. Most lawns will need a deep watering about once a week during the summer months. Be careful about mowing the lawn too short during the summer season. Cutting the lawn too short can make the lawn being susceptible to being dried out. 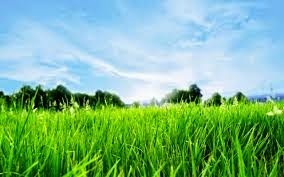 Enjoy summer and take these simple steps to make sure your grass does not suffer from the summertime blues.